This text presents a perspective on the third sector. Rather than considering non-governmental development organizations and voluntary agencies separately, it explores the similarities, differences and growing connections between them in both northern and southern contexts. 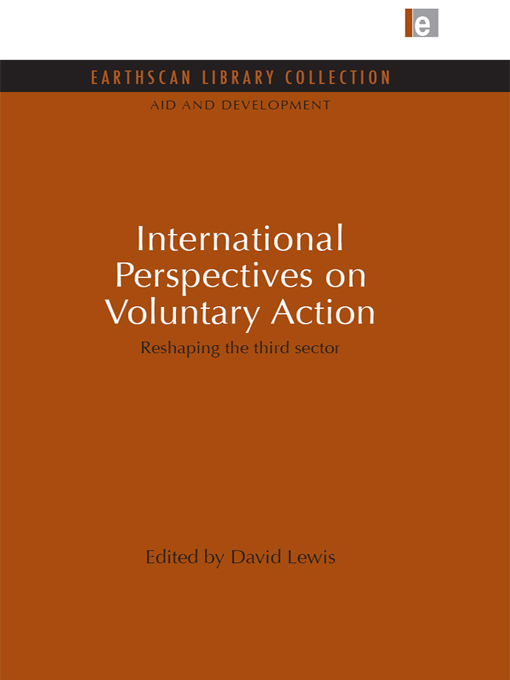 Authors in the field consider the differences in scale and priority that exist between different types of third sector organizations in different settings, as well as the common challenges of accountability, legitimacy, effectiveness and governance. Models of learning and communication, including southern ideas such as micro-credit provision, are also examined, as are the continuing barriers.